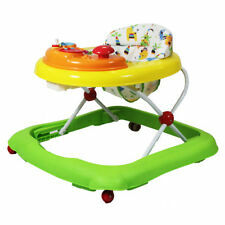 Bright, colourful and cheery, the Twist walker is sure to brighten up existing interiors and engage little one’s. Setting the Twist walker apart from the others in the range is the ability to choose between a static or rocking base. Colour: Green. 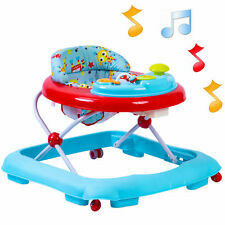 Height Adjustable ✔ Lights ✔ Music ✔ 3 Age Phases ✔. Double Pushchair & Tandem. 2 or 3 Piece Nursery Room Sets(4 or 6 Boxes). The right to cancel is a no fault cancellation. If the goods are faulty then the standard statutory rights apply. Parcel Force. Soft toys & Baby comforters. Baby Health & Hygiene. 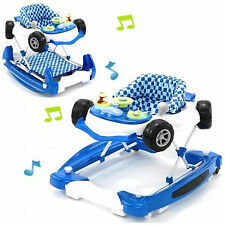 Travel Cots/Playpens & Accessories. 3 Wheeler Travel Systems. The right to cancel is a no fault cancellation. If the goods are faulty then the standard statutory rights apply. ISafe 2 in 1 Walk & Rock And Entertainer is the perfect aid to assist your child/toddler with learning the skills of walking. 2017 iSafe OPTIMUM Stroller - BOW Dots Design The Best Stroller In The W.
Ideal for babies aged six months and up, this car shaped baby walker is height adjustable and easily converts to a rocker. 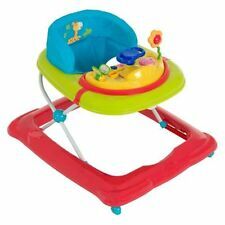 Complete with a detachable play tray featuring a steering wheel with a horn, moving gears and lights and sounds. 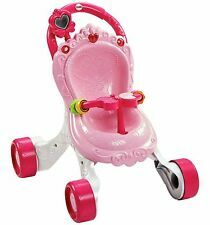 My Child Coupe Adjustable Height Baby Walker - Black. 5 out of 5 stars - My Child Coupe Adjustable Height Baby Walker - Black. 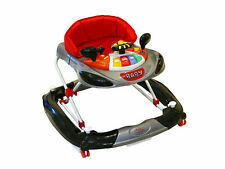 4 product ratings4 product ratings - My Child Coupe Adjustable Height Baby Walker - Black.